This time the tool of the month is not one but no fewer than five tools. 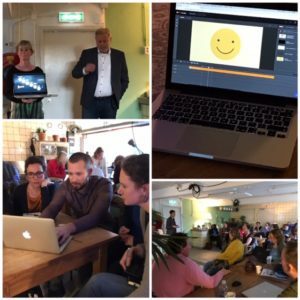 I co-organized a meetup about interactive video in the Netherlands. My own experience with interactive video had been adding questions to videos with the help of Zaption (which no longer exists) and Edpuzzle. I also experimented with Vialogues to facilitate a conversation around a video source. However, the meetup opened up a whole new world of interactive video. It is much more than just adding a question to a video. In this blog I share the 5 tools that were central to the meetup, with examples. The examples are in Dutch, but I think you can catch the interactions. It is very nice to see what is possible and it definitely opens up your creativity. H5P is an open source program that you can use for free. You can upload your own video and make it interactive. Create an account, choose ‘interactive video’ and upload your own video (max. 16 MB). You can add questions and polls, and additional information via hotspots. You can also use H5P directly from Moodle and Wordpress if you have installed the plug-in. Here you see an example video made by Göran Kattenberg from Kattenberg Learning Innovation Consulting and The Blended Group. H5P is actually a 'suite' of tools with which you can create learning activities with and without interactions that you embed in a learning environment. The newest is 'branching scenario'. With that you glue videos together with interactive branches. Hihaho is a very simple program that you can get started with right away, you don't need any special video editing or other experience. You can create a free account and then click on + new Hihaho and then you can import a video from for example Youtube or Vimeo. Then, you can start to add your interactions via 'Enrich', for example a jump, a question or a break. As an example, an instructional video that was recorded with a smartphone. There are a number of questions. Hosting: Your video remains hosted at the location of the base layer. You could see it as HiHaHo putting an interactive layer over your video. Both layers are merged into a link, embed code, Scorm package or xAPI. HiHaHo videos are used a lot in learning environments. By using SCORM or xAPI, results in the video also become visible in the LMS. Interesting because: it is a very easy program. There is almost no learning curve, you can get started right away. Explorit allows you to add questions to your video and also provide feedback to the viewer. You can import from Youtube, Vimeo but also from Blue Billywig. You can export the edited video again via a full export, or you can also embed it on your own site or, for example, in Moodle. It is fairly intuitive to learn. Clients with an enterprise account receive 4 hours of training and can then get to work. View an example below about the provincial and water board elections. The Provincial election part is mainly based on interactive video, the Water Board election part is based on interactive images. Hosting: You can either export your video as html or use it directly from the site. Ivory studio describes itself as 'the online editor for interactive video' and that is actually a very good name. It is very similar to video editing programs such as Imovie or Windows Moviemaker. It is widely used by filmmakers. You can also do more with Ivory Studio than with the aforementioned tools, such as uploading your own media, adding different videos, choosing from 5 different interactions. Last but not least you can personalize by linking to databases. An example: a company that does DNA analysis for babies sends the parents a personalized result. Parents of babies with blue eyes receive a different video than parents of babies with brown eyes. View the example below to get an idea. There is a whole world of interactive video tools and toys to explore. You can use the easier tools yourself to get the viewer to think for a moment. At Ivory Studio and Blue Billywig you really have to dive into the tool, but then you can produce wonderful material. These tools are much more like an editing program. In addition, it can be an entire project to make an interactive video, devising the storyboard, filming the various scenarios and compiling. The options are endless. Working in a small group to design a blended training I felt very annoyed. I had the feeling we were investing too much energy in defining the goals and was worried that the team was not going in the right direction. Usually I can put my finger on what we need to do, but this time I did not know exactly where it had gone wrong. I decided to use our own "Beau the reflection chatbot". Beau asked me a number of questions such as: "What did you do in this situation?" "How did it work out?" It gave me a different insight: that I have to think more about the role of goals in a certain process and to communicate more clearly about this. You have to play with the importance of learning objectives and the level of detail, depending on the situation. In an open and social process, for example, you formulate your goal more openly. Make goals / learning objectives also the subject of conversation. Thanks to Beau! Who the hell is Beau? Beau is the chatbot I developed together with Kirste den Hollander and Steven van Luipen, a prototype. We wanted to see if you could use a chatbot to support reflection. And you certainly can! I am enthusiastic about the possibilities, although I also see the limitations of Beau. Beau is a scripted bot, in which no artificial intelligence is used. However, talking to specialists I learned that sometimes a scripted bot is all you need. Most people are positive about the use of Beau, the tone and the language used in the conversation. But more importantly, half of them have gained a new insight through the conversation. Talking to a text chatbot instead of a person, and typing instead of talking often helps the reflection process. It gives people time to think and enables them to determine the rhythm of the conversation themselves. In the live confession the reflection of a confessor is central and the confessional taker only asks questions. That role can perfectly be played chatbot. We see different possibilities to use a chatbot for reflection. You can encourage people to do this on a regular basis or you can meet as a team to use a reflection bot and exchange them at regular intervals. It is important, though to take into account that a (small) group of people has a lot of resistance to reflecting with a chatbot. Do you want to read our article about Beau? Curious about the chatbot design process? I have learned and read a lot about the design process, including experiences and got training with IBM Watson. Do you want to learn about bots yourself and maybe even do a first exploration of possible bots? Have a look at this workshop I may facilitate for your organization. Abdel lives in the capital of Mali, studies journalism and is eager to learn. He has internet access via the university network on his Huawei smartphone. He would like to learn how he can get in touch with other students in other cities in West Africa and as a journalist he would like to share developments from Mali with the rest of the world. Hawa lives in the countryside of Mali and buys cards to access to the internet on her mobile, so she has an internet access roughly three times a week. She would like to learn how she can make short videos about her life for the NGO she works with. They have asked her to record and share how she lives and works. Abdel and Hawa do not really exist but are personas we have created and discussed during the design of an online citizen journalism course for people in Mali. The names Abdel and Hawa often come back: if Hawa only logs in 3 times a week, shouldn't we allow a full week for the photo assignment instead of 3 days? It also leads to the discussion whether we can actually design one course for Abdel and Hawa. In this way we come to the solution of weekly bonus assignments because Abdel might drop out if the course is not interesting enough. Abdel and Hawa prove their usefulness in this design process because the use of these two personas allow us to get into the skin of our target group. We can continuously test the design against "real personas". Aren't personas rather used for marketing purposes? Working with personas has its background in marketing and design thinking. A persona is a very detailed description of a user of a product or service. Marketers use it to develop products and to think about marketing a product. The dutch Albert Heijn was critized by the UN because of their personas. The customer profiles would lead to stereotypical images of customer. That is the first pitfall of working with personas. It can lead to a stereotyping of the practice. If you have that feeling, it may be good to talk more/again with the target group. How does he / she use the internet? via which devices? Why does he / she participate in the course, training or community? What does he / she want to learn? What is he / she allergic to? After this invite the groups to present their persona in the I-form (I am Hawa and I live in Sarafere) so that people can really empathize. I have experienced that some people will make a caricature of the persona, especially if they have a difficult relationship with the group the persona represents. Try to ask for positive aspects. In fact, this exercise also gives you a sense of whether the design group has sufficient knowledge of the target group. Ofcourse, you may adjust these questions yourself or use an empathy-map. An interesting tool to start personas may be Thispersondoesnotexist. The site will give you a random photo. Similarly uinames will provide you with fake names. You may select a country and then by clicking on the spacebar you get a fake name, that's how I get Camiel de Ruyter born in 1989. I have not tried this yet, but it might stimulate creativity. The main design challenge is to make sure your design suits the needs and practices of the participants. Content experts in particular often think about what is important for everyone to know rather than what the participants need. At the same time, the content experts often know the target group very well. Of course you can also invite the audience or do interviews, but you may use personas if you think the subject matter experts and others know the participants quite well. I have very positive experiences with working with personas. Making personas is ideal to get the knowledge of the design group about their colleagues or the target group on the table. Often this knowledge is available in the design group. By working with personas the group develops empathy and gets a lively image of the target group. You force your design group to get into the skin of the future participants. Personas are fictional characters and not persons that make it much more neutral to speak about them. For the best effect, you should regularly look through the eyes of the personas during the design. With Hawa and Abdel, that worked out well, in other cases you sometimes forget to use the personas lateron during the design process. I do not really know how that is. Maybe too many personas? Or do you still start thinking from the content side and is that a pitfall? An alternative to working with personas is inviting the target group to participate in your design process. This is not always possible, as in the case of Hawa and Abdel. If you invite representatives of the target group in the design process, it is important that they can think along from a broader perspective than their own interests. A persona can be a good alternative because you talk about fictitious case and this gives space to play with the design. When 'real' participants say something, it can not be ignored but it may not be representative for the whole group of participants. So the good news is that you do not always need a professional to make a video. The bad news is that it takes you quite some time the first time to learn the program. But it is fun and addictive to do. And the second time it's a lot faster. What is an animation video? An animation is a film without actors, but many drawings in succession provide movement. 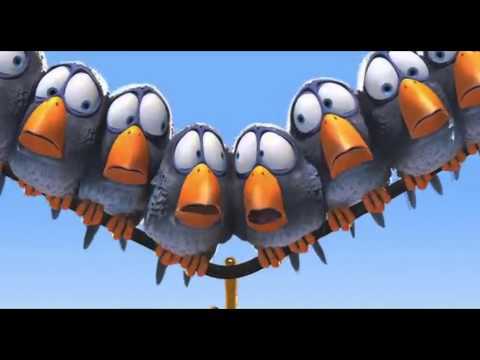 This is an example of a professional animation video about teamwork. The whiteboard animation consists of a narrative and a person who draws along and thus illustrates the story. These are now popular. 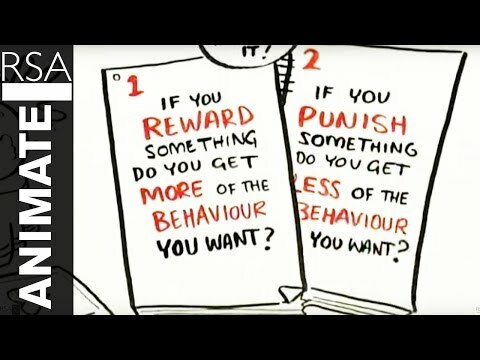 A well-known animation is the video about motivation from professionals titled Drive by RSA animate. There are many tools that already contain drawings that you can select and where you can add texts, often with different characters. See a trial below from me a few years ago. In the latter two you can also use video material that is already online and you can use it in your own video. 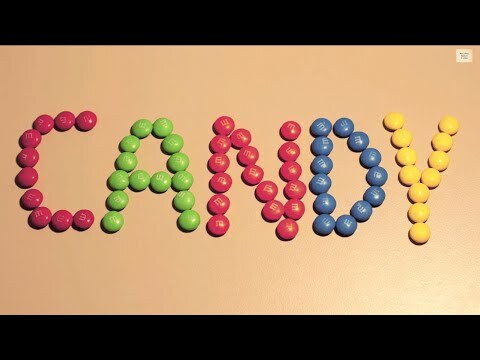 Stop-motion is an animation form in which you photograph an object while it is moving. Then you play the frames in a row. This makes it seem like the object is moving. I have see the stop motion app for iphone and ipad, but I haven´t tried the app. I don´t really know how easy or difficult it is. 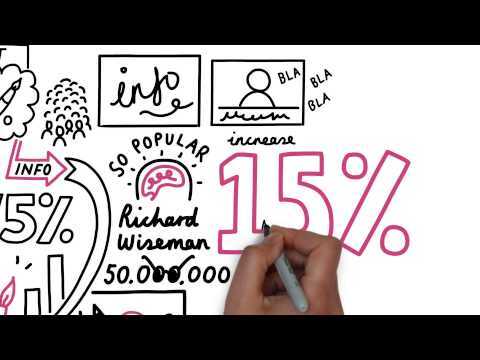 There is research on the effect of whiteboard videos by Richard Whiteman. The research shows that whiteboard animation is very effective in retaining attention compared to talking head videos. 15% more information was picked up and remembered. More information in this video. The most important work is to think through your key message and your storyline. Make sure you get this right and that the story is not getting too long. You can start well with a free account. If you use it more often, it is certainly useful to take a paid account because you then have access to more characters and can make longer videos for example. When choosing between making your own animation versus asking a professional, you can look at your available budget, the number of viewers (it pays off) and how long you can use the video. If the content of the video changes quickly, you may want to try yourself. You could also make an animation video before you have a professional video made. 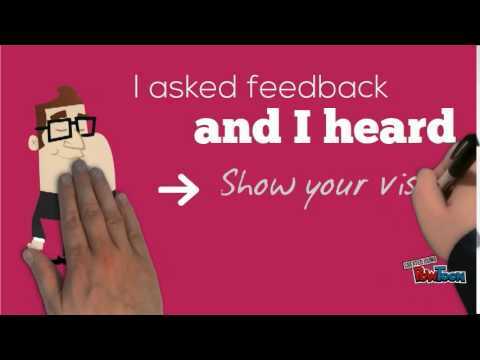 This allows you to test and easily show it to a professional animation studio you are looking for. An alternative is to work with drawings. A good idea is to have the drawings made via Fiverr.com. You can also have an animation made via Fiverr. Do you have any more tips, questions or a nice video you are proud of? Share it below in the comment! For the first time in my life I went to the OEB learning technologies conference in Berlin. It was a great conference. I did not feel tired Friday at 18.00 when it ended, but completely energized and full of new ideas! Thanks to Wilfred Rubens for pointing me to this conference and tips to navigate the conference. I followed his advice of doing a pre-conference session with Jef Staes which was one of my highlights. Wilfred also blogged about the conference. He notices people were looking for practical applications, whereas a conference like this is to challenge your thinking. I had both. My thinking was sharpened, but I also took away really practical lessons for the things I am working on (like the idea to embed peergradio in Moodle for instance....) and new relationships. The day after the conference I spent cycling around Berlin with Natasja, which felt both like a 'dessert' and a cooling down. A powerful things happened in the very last session at 17.00 on Friday: my last session was about 'defense and security'. I decided to go there because of my work with the Defense academy in Breda to create an Open Defense Academy. We were 8 in the room, the beamer was ready, as were 4 chairs for a panel, but no convenor or speaker showed up. I had already jokingly appointed someone as the facilitator, who then did take up this role. We decided to exchange. People from Denmark, Finland, the US and the Netherlands exchanged working on 360 degree and VR, e-learning, open academy, video in action, micro learning as support for deployed troops. You could see the recognition, openness to share. It was really an added value to talk about a common sector. I'm sure for some it was the best thing to happen. Still don't know whether the lack of convenor was by purpose or an omission in the program though :). However the topic of building communities of practice or social learning was not high on the agenda of the conference (neither was performance support). Many sessions were about learning in general (learning a skill or memorizing). The example of driving a car, learning a new profession, onboarding was often used. However there are also many other situations which call for learning, like interdisciplinary learning, learning from mistakes, driving innovation, making use of tacit knowledge, reflection. For innovation and sharing tacit knowledge, (online) communities of practice can be a powerful intervention. I'm not sure why this focus was much stronger. I guess it is because learning in communities is quite invisible and it takes time. And it does happen even when you don't influence it. L&D professionals may not see they can make a difference? People are aware of the power of networking and connections but may think it is automatic. The art of making space, facilitating, identifying the right domains is hence undervalued. I am one of the facilitators of the LOSmakers, but not doing a good job to create that space for real exchange. Will do that more and try to promote community learning more often (many clients ask for online or blended learning design rather than community design). If you see OEB as a community- who are the convenors, the brokers, where does innovation come from? Anita Schjøll Brede did a really good keynote about AI and machine learning. She had five examples of how AI might change the learning landscape, for instance having one (AI) tutor per child, which was long thought too expensive. I learnt French for six weeks with one teacher for myself before going to Mali and that was a great experience. She said one of the challenges is not to copy our own biases into AI. I also attended the chatbot session. Cognitive bots have huge potential, the first wave was Frequently Asked Questions bots, but more is possible. Follow Donald Clark. 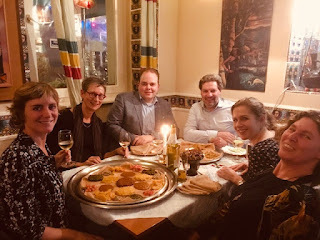 I hence visited a boardroom session by Inge de Waard about old philosophers and new learning and had an evening-long discussion about the topic. What I noticed that AI and machine learning does scare people.. Maybe because it is invisible/uncontrollable/difficult to understand? I am not scared because I don't believe in the technological singularity theory. 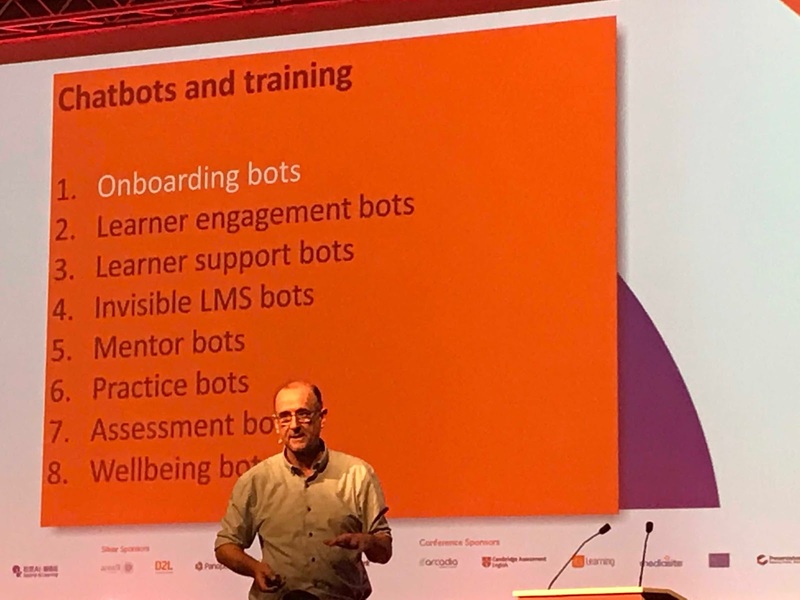 My take away is that L&D-ers have to understand more about machine learning and algorithms, that ethics is becoming more important and that more power is going to the AI programmers who define the algorithms. Plus, L&D-ers need to help people to understand algorithms and burst bubbles. (first idea of L&D as bubble bursters by Ger Driesen). We need people who understand both learning and AI. (Elliot Masie said we can forget about AI for now- that might sound reassuring but I disagree!). My idea that a knowmad needs to use social media and online. An offline knowmad is simply too slow in a 3D society. There is a connection between who you are at home and at work. You cannot be passionate about something and turn that off at home. Sliding and morphing to find your passions and work that fits your talents best. A question for me is that this seems a lifelong struggle? The challenge for organizations is the power defect. The hunter passes on the spear to his son, but do we do that now? 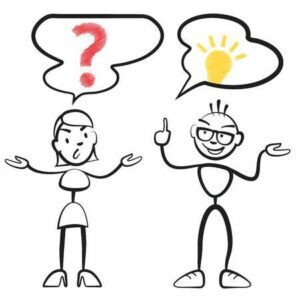 Do we have red monkeys (disruptive ideas) and how do we manage those? In most organizations the disruptive ideas are killed by the settlers. A lesson about change management: disruptive innovation is a change process in which you start with the pioneers and creators. Respect the settlers and followers though. This is a practical lesson for my work with the ambulances. NB: Again something I missed: I heard few people talking and the important of domain knowledge. I think domain knowledge is becoming more important than soft skills like critical thinking. Learning how to acquire domain knowledge rapidly. Maybe knowledge and skills can not be separated really. 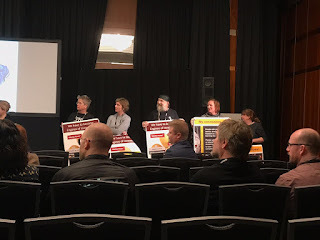 Jef Staes had a great idea: 22 posters on stage and everybody who wanted to have a poster will have to make a video to explain the concept on the poster. We do have an online method called "adopt a concept" which is similar but people don't make a video and don't make connections. This is a nice variation. The facebook MOOCbot was a very creative idea too. A bot would ask design questions and students would design a MOOC. After this a peer review took place, also through the bot. I will try to find out more. There is a gamification toolbox with 20 game ideas. You may use it to design your own game and get inspiration through the toolbox, or you can use it to have groups of learners to develop a game and play eachother's game.